From 1st January 1907 when Newcastle defeat Derby 2-0 at St James’ Park, to December 31st 2005 when over 34000 fans watch their game against Tottenham. Memorable moments in history are recorded in this handy little book. 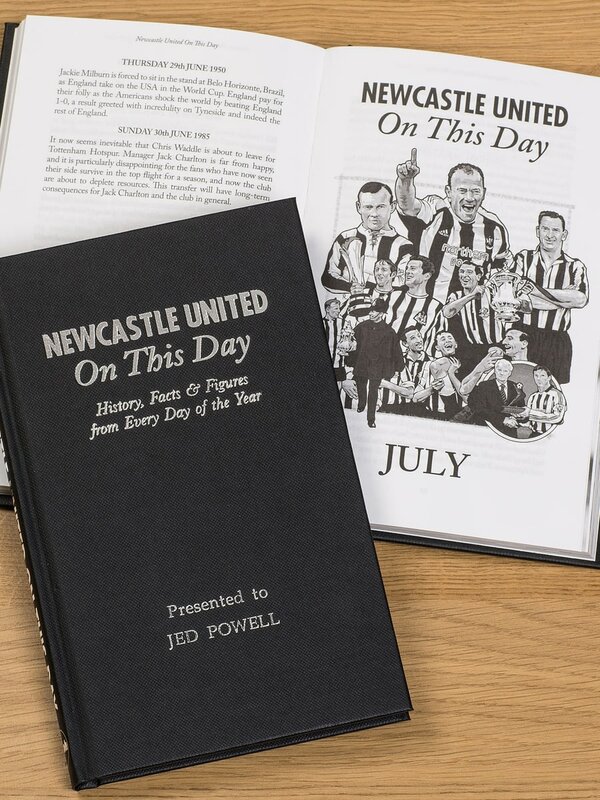 222 fact filled pages mean that every day of the year has at least one nugget of information about the Toon’s past victories and events. Give the footie fan in your life a nostalgic read. Whether he reads it to brush up on his facts before a big game, wants to know what memorable things happened on his birthday, or thumb through a quick read whilst on the loo. 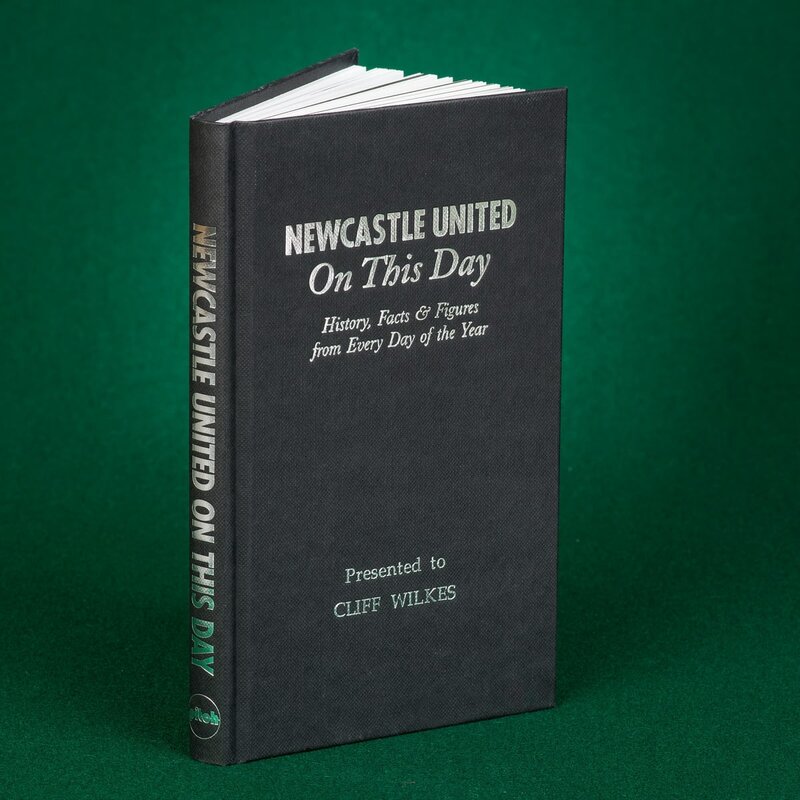 Fans won’t know how they did without this book, and with their name embossed on the cover it makes the perfect gift for any occasion, whether it’s a stocking filler at Christmas for the man in your life, or a Birthday present for your colleague. Our Football books are unofficial products, and are in no way affiliated with any football club. This truly stunning gift is sure to raise a smile as the recipient sees their personalisation on the Newcastle United Love Mug. This truly stunning gift is sure to raise a smile as the recipient sees their personalisation on the Newcastle United Stripe Mug. This truly stunning gift is sure to raise a smile as they see their Surname on the shirt held by the Newcastle United FC manager. 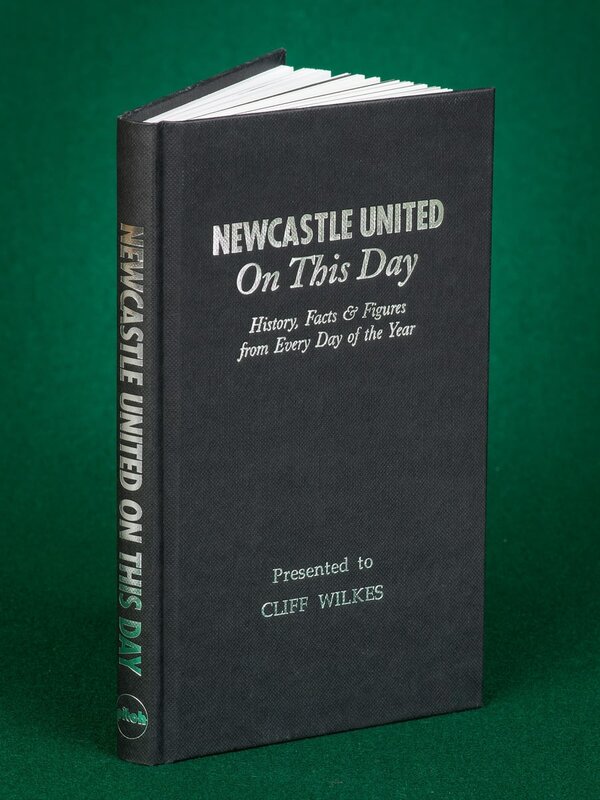 This is a fabulous gift for any Newcastle United FC fan and is approved and fully licensed by Newcastle United FC. This truly stunning gift is sure to raise a smile as the recipient sees their personalisation on the Newcastle United I Am CLUB Mug. The personalised Newcastle United Love Coasters are a fabulous present for any occasion. 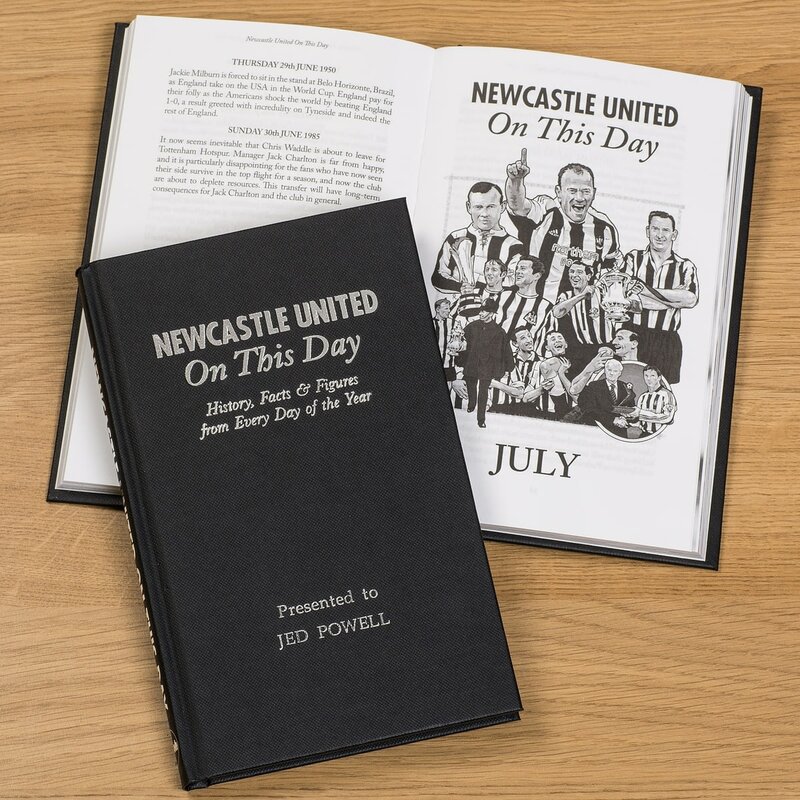 This truly stunning gift is sure to raise a smile as the recipient sees their Surname on the back of the shirt held by the Newcastle United FC manager in the club grounds. This truly stunning gift is sure to raise a smile as the recipient sees their personalisation on the Newcastle United Retro Shirt Mug.